This entry was posted on March 20, 2013, 6:05 am and is filed under Undercover Soundtrack. You can follow any responses to this entry through RSS 2.0. You can leave a response, or trackback from your own site. I’m waiting “Forbidden” in spanish, and also waiting Hurt ,you’re masterly!!!! I didn’t know how much Tabitha, one of my favourite writers, was influenced by music and I’m very happy about that because I really can understand what music is able to do! I’m a singer and I use music to express my feelings, most of the time, and to express what words can’t express. Music helps you use your fantasy, helps you to escape from reality for a while and, above al,l helps you to feel better. I’m so proud of Tabitha. I’m her Italian biggest fan! Her book “Forbidden” touched me very deeply and I really can’t wait to read “Hurt”. Music is such an integral part of my writing process. I find myself discovering new bands just to get into the head of a character. When i hear a song in a shop or on tv i am instantly back in a characters mind. Tabithas post reminded me how important that soundtrack is and how it stays with us. I must start out by saying Brava to you Tabitha on writing such a moving, personal and beautiful piece! I truly love your music choices and especially feel a kinship with the Rachmaninoff works. I’m a classical pianist and singer-songwriter and Rachmaninoff is very dear to my heart. I’m also moved by your relationship with your brother and your teaching him piano. I, too, am close with my brother Seth who wears the many hats of Broadway radio host, novelist, classical pianist, playwright, actor, comic and producer. I’m listening right now to your brother Shin perform Chopin’s Scherzo No. 2! He’s a brilliant pianist, has wonderful technique and plays with such expressive emotion. How swell to meet you on Roz’s blog and I’m looking forward to reading your novels. Thanks Beth for your kind words. My lil’ brother Shin is the pride of my life – I’m glad you like his playing! I first discovered he was musical when I was playing the Moonlight Sonata and hit a wrong note and he began to cry. I carried on playing until he calmed down, then deliberately made another mistake, and he started crying again! He was three months old. I have! We’re hoping to team up on something for ‘Hurt’! Roz you are a great matchmaker for Tabitha and I… A wonderful author/musician teaming up with a singer-songwriter who loves composing music for their novels and their book-trailers. It would be a thrill to write music for Tabitha! Are you two working together? That’s terrific! I want to see the results! loved this – music is SO important to the writing process! Have you ever listened to a magnificent composition and as it goes through the crescendo you feel the need to pause it? It’s too overwhelming but you continue on because for some reason you need to feel that pain right between your eyebrows, the chills across your back. This is exactly what reading a Tabitha Suzuma book is like. Tabitha’s books are truly like a piece of music itself. The way she marvelously constructs a plot is like a piano piece, tones of light, shade and pure darkness and always ending with that reverberating last note that fades to a lengthy silence, where you stare at nothing and feel absolutely everything. Love that description, Jennae. And what an accolade for Tabitha. I certainly felt the textures and complexities coming through in this piece. I’m still a bit addicted to that song, David! Love Freestyler too, David! Its appearance in this Undercover Soundtrack was a sudden, funky surprise and a sparky reminder of the age of the characters. I’ve only read Forbidden so I really need to get your other books! I love your writing so much! I am a piano player actually so I would love that. A really interesting set of choices. It’s funny how different songs mean different things and create different moods. I have ‘Only Happy When It Rains by Garbage’ on my writing playlist as a mood improver! I associate it with their gigs, everyone jumping up and down, full of energy and lyrics laden with irony. Lana Del Rey is definitely on my ‘depressed’ list along with Tori Amos. Thank for your comment, Peter. Yes, that is interesting. I associate ‘Only Happy When it Rains’ with one of my all-time favourite books, and in particular with this clip of the movie! Yes, most normal people would! I have Tori Amos on my ‘anguished and complex’ list, Peter! You rock! She’s my go-to girl for dark flash fiction inspiration. You have such diverse and amazing taste in music. I love how you use music to put yourself in the state of mind of your characters and I find it amazing that you have captured the very essence of the song you have chosen in your books. You seem to have such a love of music and what you said about your brother and you teaching him is beautiful. I really love your taste in music. Although I do have one question. Once you have successfully put yourself into the dark and distressed states of mind isn’t it really difficult for you to let go of those feelings? Tabitha, your honesty about this was one of the things that made your post so powerful. Many of us go to dark places in our novels, but we need to make sure we can climb out of them again. It’s not always easy. Tabitha, one thing I’d be curious to know is this: when you’ve finished the novel, how long is it before you feel you’ve got it out of your system? I find an intense story has a half-life afterwards. I’m not sure I ever get any novel I write fully out of my system. I don’t mean to sound precious. But all the characters continue to live in my mind and the kind of stories I write (usually quite intense and/or depressing) always linger. Or maybe it’s that I haven’t had time for them to fully leave me as I’ve only been writing 7 years. I don’t know… I do know that the breakdown I went through after finishing ‘Forbidden’ lasted about 6 months and felt like a type of grieving. Not precious in the slightest, Tabitha. Writing can sometimes make us fragile. It is an interesting blog entry and mixture of different music genres. Tabitha is a great writer, especially because she is not afraid of telling “unconventional” stories, which, for some people, are truth. It’s necessary to tell these stories for those who don’t know what is like to have a problem like this. Her love for music is palpable and inspiring. Music is an important part of everybody’s life. Music inspires. Music lightens up. Music helps. And music can save someone’s life. Music tells people’s stories, like every author does. Together, a writer and his/her favorite songs can create something beautiful. As it is shown in A Note of Madness, music can also drive you crazy. Therefore, you have to open up your heart, accept the good things that music can offer you, and learn how to use them to help yourself and others. What a brave, amazing writer. Thanks for introducing her to us. Hi Anne! When I came across Tabitha’s novels, I decided I had to invite her to The Undercover Soundtrack. She’s one of those writers who is really mining for what’s true. hey Tabitha 🙂 i absolutely love your books, especially forbidden and from where i stand; they fit right into my category of books that leave me sitting immobile and just thinking about for hours after i complete them (i read a LOT of books, and only few make this category!) im not an author, but i do love listening to music while i do my homework and study, etc (im not sure if this is good or not but i dont mind :D) i love deep, slow songs especially and some of my favourites are “fix you” by coldplay, “hero”+”how you remind me” by Nickleback, “You found me” by The Fray, “Iris” by the Goo Goo Dolls, “Not afraid” by Eminem, and “Wires” by Athlete. Cant wait for your new books! Thanks for the recommendations! ‘Not Afraid’ is one of my favourite Eminem songs too (along with ‘Lose Yourself’ and ‘8 Mile Road’). I find it really interesting to read about the music that has inspired writers, especially of the works that I have read and adored. For instance I’ve never found a deep connection with Eminem’s music, but now knowing that it was a part of the writing process for Flynn’s manic episodes I realize that it fits perfectly. So not only does music inspire, but a writer can really reinvent a song or a story can be interlaced with these musical interpretations. Brilliant! It’s an interesting blog entry and mix of different genres. It’s true. Music is an important part of people’s lives. To me, music is an inspiration. Music makes you dance when you’re happy. Music helps you when you’re sad. And music can save someone’s life. Music is a powerful tool for a writer. Music tells people’s stories, like a book does. Together, a writer and his/her favorite songs can create something beautiful. And this is what Tabitha Suzuma does. 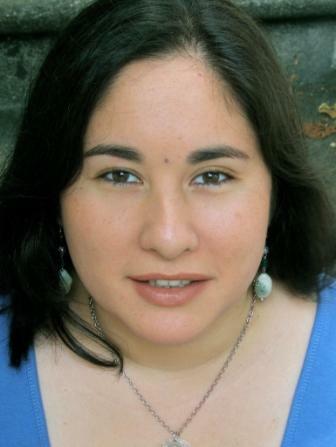 She is a great writer, who is not afraid of telling “unconventional” stories, which, for someone, are reality. She also shows us what happens when music becomes an obsession. I think music can do a lot of things. It tells different stories, and delivers a message. It’s only up to us to interpret its message and use it to help ourselves or others. Thanks for informing us about the songs that have influenced you to all the books that you’ve and will written. I’m looking into it to hear all the songs! Thanks Andrew. Vishy is an online friend of mine too – always so supportive of my books. I fell in love with Mozart’s Requiem when I first saw the movie ‘Amadeus’ when I was 10. That was a big turning point in my life. Classical music never felt or sounded the same to me again after that – it’s still my favourite movie of all time (along with ‘The Hours’)! Tabitha, I adore the film Amadeus. Just the name gives me the shivers – the title alone is genius. I’m also a big fan of Peter Shaffer’s other plays. He taps into the idea of seeking gods and godlike experiences – not always through music, but always with characters who are tortured and disappointed with themselves. I remember Aled Jones! With your musical connections did you know him? Many years ago I had a singing teacher who was studying at the Royal College of Music at the same time as Aled. She was always trying to beat him in the end-of-year exams. Now he’s a radio personality. We’ve kind of lost touch now, sadly. I’ve always loved those two pieces of music, but don’t have such interesting stories behind them. Putting a CD into a CD player kind of pales in comparison to dating Aled Jones! Hi Andrew – small world! I adore those requiems, especially the Faure. We performed it at my school and I know it practically note for note. Thanks for spreading the word – I’ll look out for Vishy. Huh. I’ve read forbidden and a note of madness just last year. I loved both. Its controversial, its different from other books. I felt like they’re only to be read by open minded people because others won’t understand. I often wondered what inspired these books and how an author came up with it. Thank you for this blog I can now understand a bit how you wrote such great books:) I bought multiple copies of forbidden and shared them to my family in the Philippines. They were as intrigued as I was. An inspiring collection, and an amazing portrait of your inner life, Tabitha, such courage to go to the places you do. I am envious of your fearlessness and freedom. I have listened to all the pieces but equally to your reading on your very attractive website. What is left to say? Marvellous. Roz you are likewise reflected in this! Hi Philippa! ‘Fearlessness’ – that’s a good word for Tabitha and her work. Glad you enjoyed meeting her. Do you find your dreams are ordered by the music? Have you ever managed to restart a dream by using the playlist that caused it? I haven’t, at least not that I’ve noticed, but I have a lot of nightmares and often wake up from one only to fall back into it again. I don’t think that’s the fault of the music though. One thing I do have is lots of dreams about music. I either dream that my brother is playing some concerto, and I vividly hear the music, but sometimes I dream of music I’ve never heard before but when I wake up can never remember it well enough to write it down – which is a bit frustrating! I get those composition dreams too. I don’t get them very often, but I certainly dream fully scored recordings of songs and orchestral pieces. Wish I could remember them. Wow, I’m really impressed by your honesty. I can’t wait to read Hurt now, coz the way you’ve described the link between your writing progress and the music you listen to…wow. 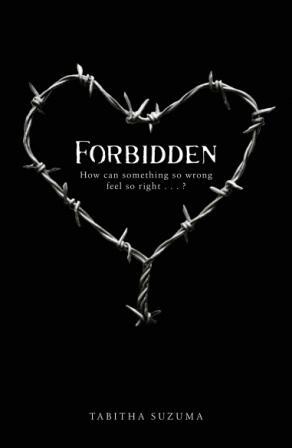 Forbidden is one of my all-time favourite books, it is beautifully written, so emotive and unforgettable. Despite the subject matter it is a true love story and will remain with me for a very long time. Reading and music are two of the most important parts of my life and reading the playlists that you have suggested only enhance the story. Thanks for your honest thoughts. Thanks Anne. I’m glad you liked the book so much! Words and music are so integrally connected and some of my favourite songs have both haunting melodies and powerful lyrics, the sort of music that gets you deep in the gut, especially in the early hours of the morning. My current favourite are Beneath You’re Beautiful by Labrinth http://www.youtube.com/watch?v=bqIxCtEveG8 and Jar of Hearts by Christina Perri http://www.youtube.com/watch?v=8v_4O44sfjM so it’s not surprising that music plays such an important part in your writing and why the emotion in the novels is so real and well conveyed. Just as you lose yourself in music, you lose yourself in the characters of a novel. It’s why I read – an escapism from my own life into someone else’s experiences. I do find the contrasts in your choices of music, depending on the character’s mood/state of mind/situation fascinating and what you use for the highs/lows and chaotic. Thanks Nina. Really liked ‘Jar of Hearts’! Thanks for sharing thoughts on the music that inspires you to write, Tabitha. Some of us, your readers and fans, know a little bit about your music interests, especially music that you love listening to while you write. But it was wonderful to read in this post about how it all started. I liked very much what you said about spending most of your salary in buying tickets for concerts at the Royal Albert and Royal Festival halls. I used to buy books with my salary like that. It was wonderful to know that Rachmaninoff’s Third and Second Piano concertos inspired you to write the two novels about Flynn and Jennah. While reading your post, I was waiting to hear about the usual suspect, Philip Glass’ music from ‘The Hours’, and I was so happy to find it there. It was also fascinating to know that Shin cried when you hit the wrong note while playing the ‘Moonlight Sonata’, when he was three months old. He is a born genius. Thanks for your wonderful post. I will bookmark this post and try to listen to some of the music and songs that are new to me. Thanks so much, Tabitha! Very exciting – I’ll email you now.